Very happy to have found European Motors! I hope I don't need their services often, but if/when I do, I won't take my car anywhere else. Car brakes are a very common issue (the average car life cycle gets 3 brake jobs) but many folks don't understand how their car's brake system really works. 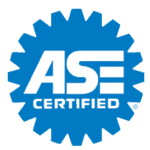 Aside from getting into an accident, ignoring early car brake symptoms can result in more costly brake component replacement. Even if you don't plan on keeping your car, it can be very difficult to sell a car with noisy brakes. Brake rotors (or discs), brake pads, brake sensors, and calipers. These 4 components are all inside your wheels. You can easily see the calipers, rotors, and pads if you look thru your car rims. The brake caliper acts as a clamp that presses the pads into the brake rotors to stop the wheel. 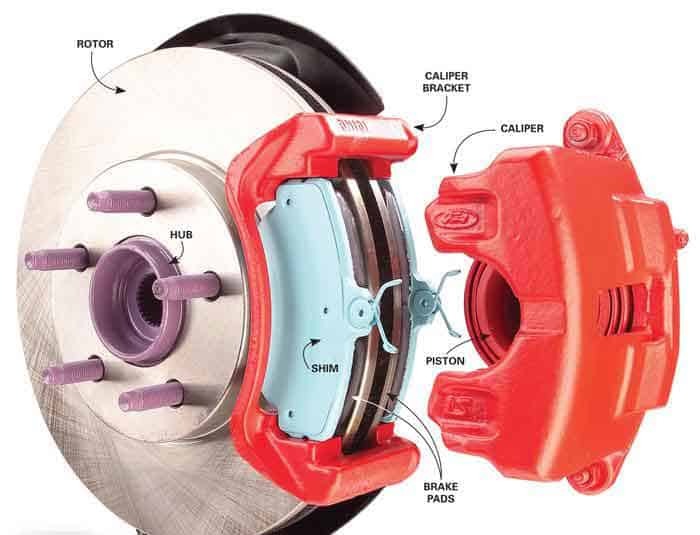 Brake calipers and rotors range greatly in size depending on size configuration and the horsepower of your car. The greater the speed of your vehicle, the greater the need for large brake calipers to clamp the pads into large rotors for a faster stop. Most modern cars all have brake sensors that activate a light indicator in your dashboard when your brake pads are low. It's not a good idea to solely rely on your brake indicator light; not all brake pads are matched with a brake sensor and like tires break pads can wear unevenly. Some European models (Audi A3 for example) only has 1 front brake pad sensor but has 4 front brake pads. The 4 Wheel hydraulic brake system was created in 1918 where every car has a Master Cylinder containing a hydraulic pump with brake fluid (that should be changed about every 2 years). When you push your foot on the brake pedal you are pushing a piston (inside the master cylinder), forcing hydraulic fluid to the brake calipers (which squeeze the tires). If there are leaks around the piston the fluid doesn't get to the brakes correctly. In this case, the Master Cylinder may need to be replaced. You may have "medal on medal" especially when you get those dirty looks from pedestrians you know its time to check those brakes. Your foot goes down further than normal when applying the brakes. Don't rely on your brake indicator light as most cars have between 1 and 4 brake sensors to match 8 brake pads that can be low. How Much Does Brake Repair Cost? Rates for brake repair is determined once we know your car year/make/model, and which component(s) need to be replaced or repaired. Contact European Motors for a free estimate. 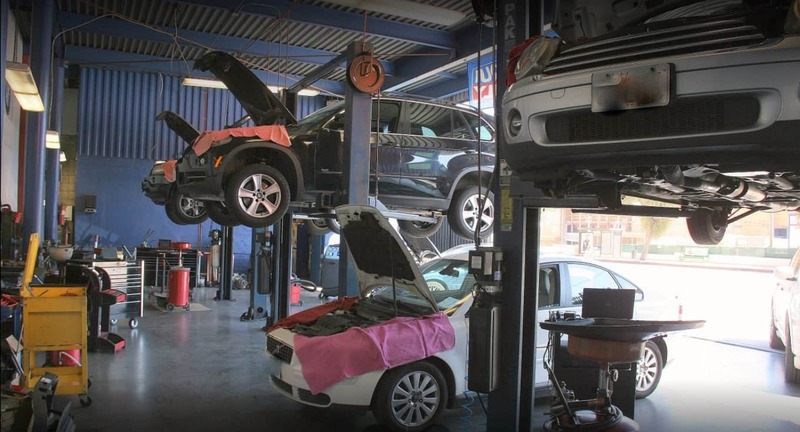 We are a full-service LA based auto repair shop servicing European vehicles since 1975. Conveniently located on Ivanhoe Hill in Silver Lake. Our 10,000 square foot facility is directly off major freeways in close proximity to Glendale, Los Feliz, DTLA, Echo Park, Hollywood, and Atwater Village. We are directly across the street from 365 Whole Foods.